My family and I just returned from a weekend trip to Boise, Idaho to visit my in-laws for the holidays. We decided to meet somewhere in the middle so the neither of us would be driving too far in bad weather during the holidays. Plus, it would save time for all parties involved if we didn't have to spend two full days driving there and back. Last, what kid doesn't love staying at a hotel? I can't say it is a favorite of mine but my kids love having breakfast buffet every morning, indoor pools and late night slumber parties. We had a great time visiting with cousins, siblings and grandparents and now it is back to regular life. One of the things I like best when returning home after a long trip (particularly car trips) is a little pampering. 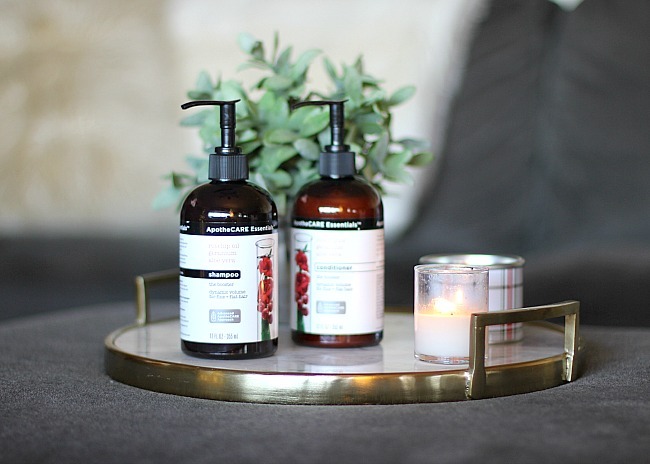 After being busy all weekend, braving cold weather and non-stop fun having I like a little R & R. As a mother those moments are brief but I find that R & R through the use of premium beauty products. It doesn't take a lot of extra time but it definitely provides results that feel great. 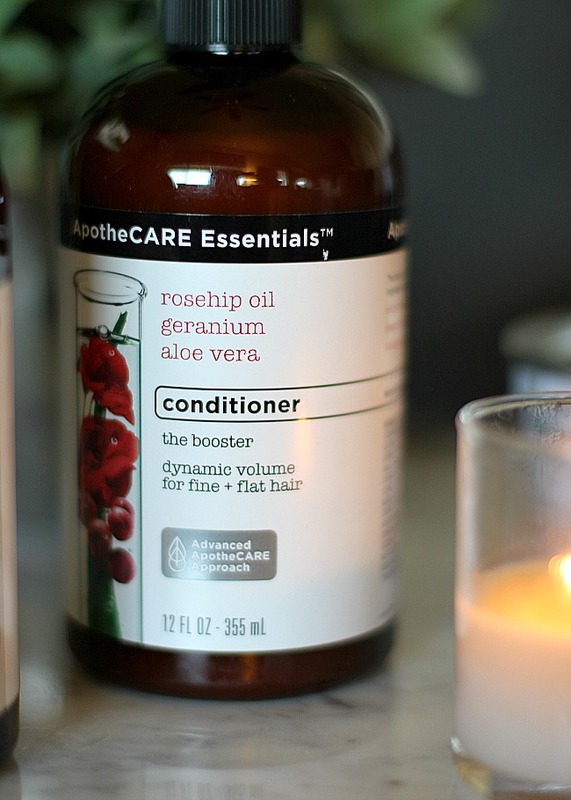 I was recently sent the ApotheCARE Essential Shampoo and Conditioner. They are a new premium beauty line that is offered from CVS. 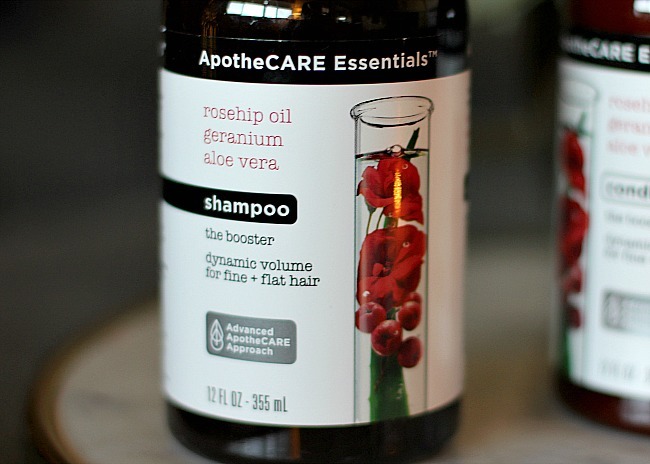 Made with specially selected ingredients ApotheCARE Essential products are inspired by nature and powered by science. This means you get the great natural scent of Rosehip Oil, Geranium and Aloe Vera along with results like dynamic volume and enhanced natural movement. The greatest part about this product is there are No Parabens, No Dyes and No Silicones. All you are getting is great fragrance with superior look and feel. The ApotheCARE Essentials Conditioner also includes distilled cactus milk, extracted Moroccan mint and steam distilled lavender. These products nourish and wrap around every strand of hair for premium hair fiber care. Opening the ApotheCARE Essentials products in the shower is like taking a step into a luxury spa. The scent is reminiscent to expensive spa treatments which definitely makes your tiny little R & R moment feel even more special. The texture is smooth, thick and creamy which feels luxurious compared to inexpensive counterparts. In the end you are left with smooth, silky hair that looks better, smells great and feels voluminous. I can now check my R & R moment off my checklist. Now onto my other tasks. 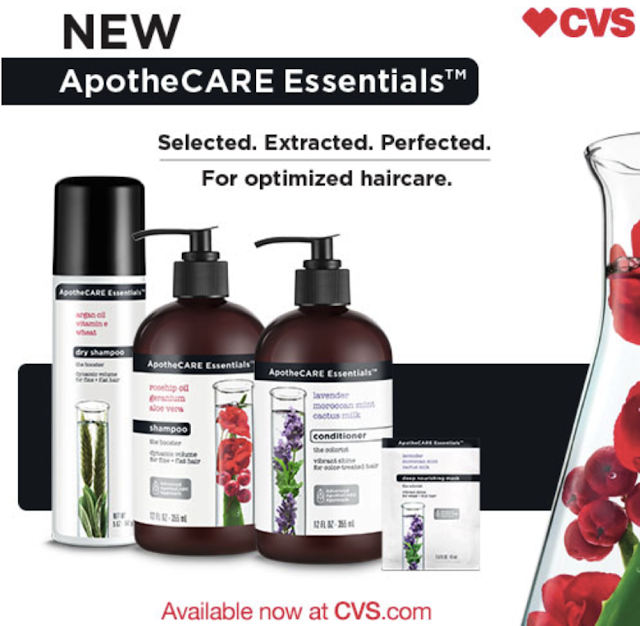 You can pick up the premium ApotheCARE Essentials products from your local CVS. They are on limited release in store but you can definitely find them online at CVS.com.